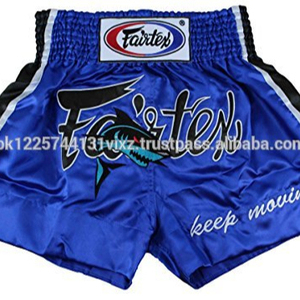 BOXING SHORTS SPECIFICATION Boxing Shorts, Made by 100% Polyester Satin. FABI FITNESS is Product of Our Hard Work, Our long time Research for the best Quality of boxing items and in Sports Wear. We believe that our design and Superior quality, And Better Services will help us to make a long business Relationship with your esteemed Company. We offer competitive shipping cost to buyers of all orders and have full shipping command all over the worlds by Couriers, By Air and Sea Destination. We introduce New Latest designs and customize products of Gyms, Clubs, Acedemies, Schools with their own logos design style. We supply comprehensive range of products worldwide with our wide manufacturing and shipping experienced. - Direct Screen Prints. - Heat Transfer Prints. - Silicon Prints. Offering competitive pricing to the wholesalers, retailers and end users. We are facilitating small or large companies by providing them best quality and competitive wholesale rates. We also entertain club orders and customized designs can be developed as per customer's demand. 2. Competitive price. 3. Grate delivery. 4. Reasonable freight. Muay Thai Plain Shorts with Embroidered Green Outstanding design with screen printing technique. Made of micro fiber fabric. Light weight, sweat free and quick dry. 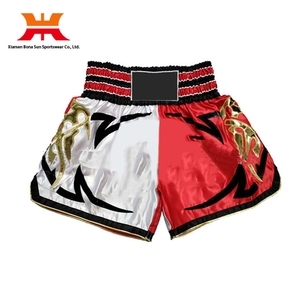 MUAY THAI SHORTS SPECIFICATION Muay thia Shorts Made by 100% Polyester Satin. Custom logo and Design are Available in any size or color. FABI FITNESS is Product of Our Hard Work, Our long time Research for the best Quality of boxing items and in Sports Wear. 100% Polyster Heavy Satin , Standard sizes waist band. All Colors available with your own logo and if you want your country flag images. OEM & ODM services available with desired Logos and Tags. 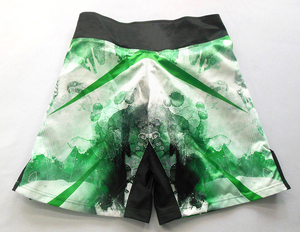 NEW MUAY THAI KICKBOXING SHORTS SPORTSWEAR FIGHTING GREEN POPULAR MEN & WOMEN. 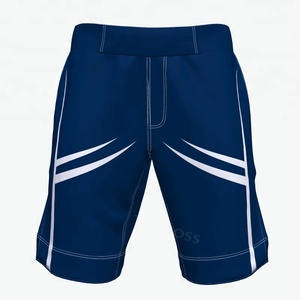 Alibaba.com offers 193 green boxing shorts products. About 47% of these are martial arts wear, 18% are other boxing products, and 4% are fitness & yoga wear. 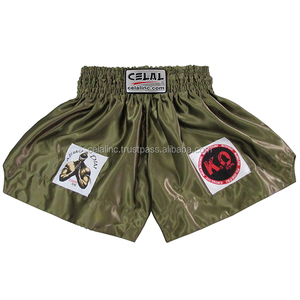 A wide variety of green boxing shorts options are available to you, such as 100% polyester, polyester / cotton, and polyester / rayon. You can also choose from l, m, and s. As well as from unisex, men, and boys. And whether green boxing shorts is oem service, or in-stock items. 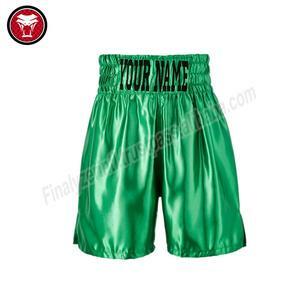 There are 181 green boxing shorts suppliers, mainly located in Asia. The top supplying countries are Pakistan, China (Mainland), and Thailand, which supply 71%, 23%, and 4% of green boxing shorts respectively. 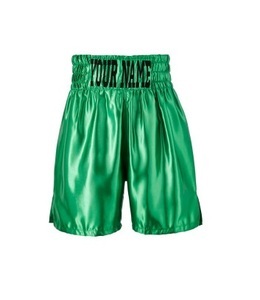 Green boxing shorts products are most popular in North America, Western Europe, and Eastern Europe.